I think Hakusan is a city, within the Ishikawa Prefecture that was created by the merging of several other villages including the former village of Shiramine. Located on the opposite side of Honshu from Tokyo. A bit north west of Tokyo. The post describes a kebari from the area made using a traditional technique from the region that are being made for sale to preserve the inherited traditional method of tying them. 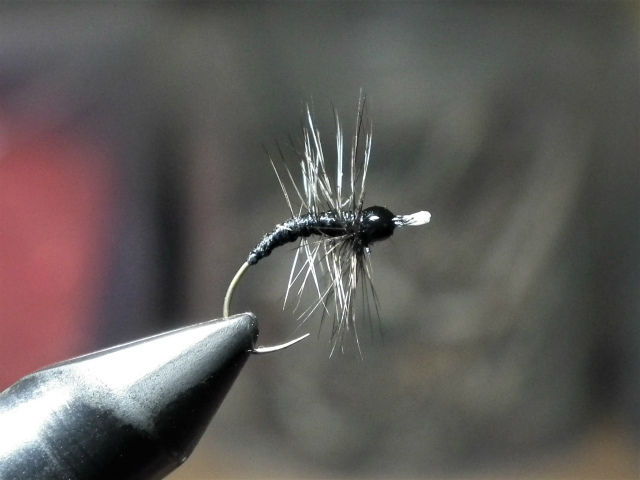 It is described as being for tenkara fishing, but smaller than the normal tenkara kebari, using soft hair (hackle ?) and some phrase that translates as “using less oil” that I haven’t had success thus far finding a correct translation. [油分が少なく, yubun ga sukunaku, low oil content or less oil] A mystery. And thus far no success finding an online picture of these kebari. Only the following two websites. The price is ¥ 350 for one bottle and ¥ 1,000 for three bottles. テンカラ釣り用 伝統技法で毛針 traditional technique kebari for tenkara fishing. That has no description, mostly only a photo of the same newspaper story announcing the launch of the kebari for sale by the Hakusan Shiramine Fishery Cooperative. If anyone finds a picture of a 白山テンカラ毛鉤を Hakusan Tenkara kebari , please post it here. I can barely see well enough anymore to tie size 14 kebari, hopefully they’re no smaller than that for me to try tying one. But maybe they are difficult to tie. The first blog post also states only a few people can tie them. But it wasn’t clear if that was due to lack of skill, or only a few people within the group available to tie them. Offering them for sale seemed to be a combination of wanting to preserve the traditional kebari pattern, and maybe a fund raiser for the fishery cooperative. 油分が少なく, yubun ga sukunaku, low oil content or less oil] A mystery. 油分が少なく, Low oil content, = Meaning of dry feather. Yes, I can now see how the phrase could mean a dried out feather. Thank you. and found this link, that worked better for me. Text from Part 1, but substituting 「毛鉤」for 「毛針」, because google more often translates 「毛鉤」as fly. I stole it and used it. Kyoto (Meiji 29 grader) ?? By Kato politics (Meiji 43) ?? Autumn mixed white with black. 2 hotels of the hot springs of Ichinose ?? I went to the inn. ?? Morning and evening fishing can be done well for both the fly fishing and bait fishing. We can not catch much during the day, but we can catch during the cloudy day. It was the best fly-fishing weather. Anyway, type and color of feathers used and in what time of the fishing season they used each color. But I did not see anything about the size of hook, whether they used a smaller hook than commonly used for tenkara - as is stated about the Hakusan Shiramine Fishery Cooperative tied kebari. Fun document to look at , even if I can not read most of it. Thank you. Mr.David Thank you for the detailed explanation. Todoroki-san, thank you - very nice. I enjoy looking at or reading the old documents, or reading what others have written about their content. Earlier today I have been looking at the 8 part series テンカラの影を追う [Following /Chasing the shadow of tenkara] on the fk3yi8anpontan, 長良川と郡上竿の世界, blog. Finding parts 4, 5 & 6 most interesting, plus parts 7 & 8 just below them in interest. Along with your comments to the blog post. From the use of butterfly hooks, that seems similar to how apparently the name Lilian originated from use of thread trademarked with a Lilly flower. 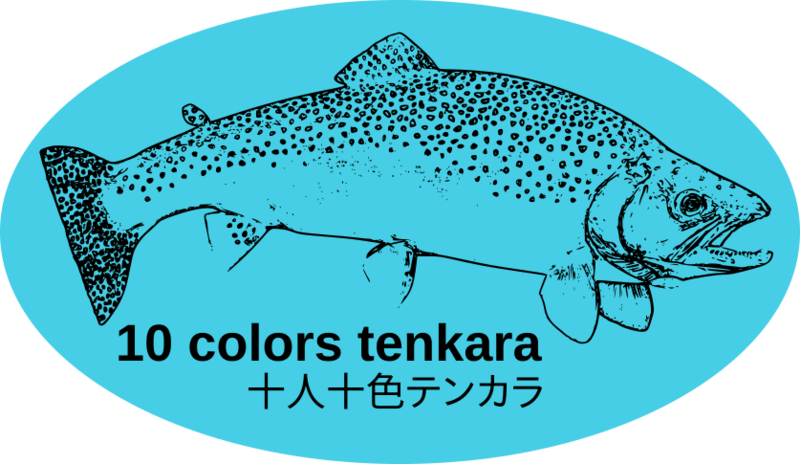 ⑧「テンカラという虫」Tenkara is called insect or maybe other way round, Insect is called tenkara. In the previous blog, the word “tenkara” was written in the possibility that it is the ancient Japanese language “ten-dayko” that points to the butterfly.